Duration: 1 hr. per ep. Two video releases recapping events from the Gundam Wing TV series. Each Operation Meteor video contains an 'Odd' episode and an 'Even' episode. 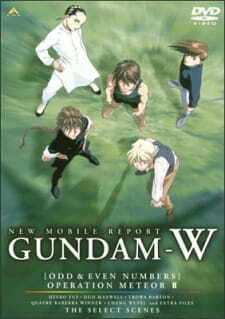 The 'Odd' episodes feature Heero, Trowa and Wufei, while the 'Even' episodes feature Duo and Quatre. The episodes also featured brief new footages of the characters after the final episode of the TV series.